Issue 19 Poll: Where did your Dutch ancestors live? Farewell Genlias, welcome Wiewaswie.nl. Birth certificates of children of single mothers. A new book on Dutch genealogy. Issue 18 Poll: Does your family still observe Dutch December traditions? Traditional December holidays in Holland. Oliebollen recipe. Share your December family traditions. Issue 17 Poll: When did your ancestors leave The Netherlands? The civil register. A recipe: Poffertjes. The first and last name databases of the Meertens Institute. Issue 16 Use social networks to trace your Dutch roots. Digital resources Netherlands and Belgium. Amsterdam online records. Issue 15 Online scans of Dutch records. A translation exercise. Infixes in Dutch names. Issue 14 Leasing a grave. How to find your Dutch ancestor's grave. Genlias and New Amsterdam. Issue 13 Hudson's quadricentennial. Provincial resources. Reader's question. Issue 12 Koninginnedag, a Dutch tradition. Get help breaking down your brick wall. Born in 1809. Issue 11 Traditions. What should you do if your ancestors are not in Genlias? 400 years Dutch roots in New York. Issue 10 Trace your 19th century ancestors. Emigration in the 19th century. Graveyard rabbits. 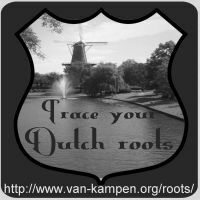 Issue 9 Trace your Dutch roots has moved! Part of CBG collection online. Familieberichten. Issue 8 Sources for Dutch genealogy. Monitoring Genlias. Offline Dutch genealogy. Issue 7 Online records. Visit a Dutch archive. Trace your Ellis Island ancestors into The Netherlands. Issue 6 Website of the month: Memory of The Netherlands. Maiden names. Images of the past. Issue 5 Netherlands Antilles records in Genlias. Website of the month: Zeeuwen gezocht. Visiting The Netherlands. Times in Dutch acts. Issue 4 Amsterdam City Archive collection will be available online. Website of the month: Meertens Institute surname database. Post-war emigration from The Netherlands. Issue 3 Amsterdam City Archive closing temporarily. Website of the month: Digital resources Netherlands and Belgium. Genealogy in Zuid-Holland. Season's greetings. Issue 2 Dutch masterpieces tour U.S. Website of the month: Rotterdam Municipal Archives. Reading and understanding Dutch birth records. Books on Dutch genealogy. Issue 1 Amsterdam records in Genlias. Website of the month: Genlias. Pitfall: Names containing ij or y. Trace your Dutch roots blog. The Wilhelminakade revisited. Fill in your name and e-mail address to subscribe to the Trace your Dutch roots newsletter. A companion to the Trace your Dutch roots website and newsletter, this blog will cover the latest news, hints, tips & tricks, websites, anything related to tracing your Dutch roots. Please take a moment to add your comments, corrections, questions and additions to my guestbook, or post it on the feedback page.